Minnesota’s game wardens work for the state’s Department of Natural Resources and are known as conservation officers. These certified peace offers are often referred to as “The Thin Green Line” because they protect the state’s abundant natural resources, its outdoor recreational areas and the public. While known as the “Land of 10,000 lakes,” Minnesota actually contains 11,842 natural lakes that are within the state or border it. In addition, Minnesota contains more than 8,100 fishable rivers that provide more shoreline than California, Florida, and Hawaii combined. Conservation officers in Minnesota protect these natural resources and outdoor recreational areas while also protecting the public. The duties of a conservation officer include patrolling to protect fish and wildlife and Minnesota’s hunters and visitors, assessing damage or issues and trying to improve them, and collecting census data on wildlife. Most conservation officers are responsible for an area of the state or a whole county, and this makes the position both physically and mentally demanding. Since the hiring process for conservation officers in Minnesota is highly competitive, applicants should have highly honed skill sets to improve their chances of being selected. The best applicants posses a high level of enthusiasm along with a strong interest in conservation and hunting and fishing. Applicants who exceed the minimum qualifications are more likely to be chosen. Read further to discover to learn more about the role of conservation officers in Minnesota. Conservation officers in Minnesota both love the outdoors and enjoy the practice of law enforcement. 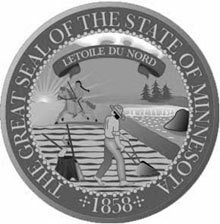 As accredited peace officers, Minnesota’s conservation officers can enforce all state laws. In addition to acting as law enforcement agents by apprehending poachers and other criminals, these officers advocate for the Department of Natural Resources. They speak to schools and advocacy groups and offer hunting, firearms, and boating safety courses. Applicants for conservation officer positions should study the minimum qualifications for conservation officers, so they can prepare themselves to meet the criteria. Interview: Candidates will have a formal panel interview with senior officers and human resources personnel to evaluate experience and knowledge. Vision: The applicant must have good corrected or uncorrected binocular vision, and have color vision consistent with the demands of a warden officer. Physical Readiness Testing: The applicant must successfully complete a physical readiness test showing that he or she is able to complete performance in line with state minimum standards. Receptive, expressive and written skills in additional languages are an asset. Minnesota’s conservation officers earn salaries that are higher than what is typical for this profession in most other parts of the country. In addition to their base salaries, they are also eligible for seasonal overtime pay, and enjoy a substantial benefits package.